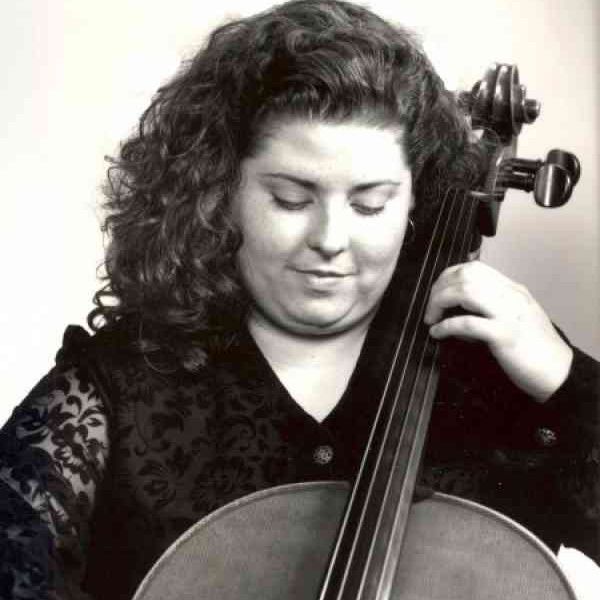 Dr. Alice Ann M. O’Neill, artist cellist and cello teacher, has extensive professional performance experience in symphony orchestras, chamber music ensembles, and as a soloist throughout Europe, Japan, Canada, and the U.S., performing in venues such as El Escorial (Madrid), Teatro Alla Scala (Venice & Milan), Symphony Hall (Boston), and Carnegie Hall (New York). She continues to perform solo concerts and was recently a member of the University of Dayton faculty string quartet and the Mount St. Joseph University faculty piano trio. Her primary cello teachers included George Neikrug, Leslie Parnas, Colin Carr, Claude Kennison, Aldo Parisot, Janos Starker, and Tanya Carey. She studied chamber music with Eugene Lehner of the Kolisch Quartet and the Boston Symphony, and Raphael Hillyer of the Juilliard String Quartet, the Muir String Quartet, the Stradivari Quartet, and Guarneri Quartets. Dr. O’Neill has extensive teaching experience and is a Suzuki Cello teacher trainer. She has taught many clinics and workshops and presented her pedagogical research at international conferences. Her research articles have been published in The Journal of Research in Music Education, the American Suzuki Journal, and the Vincentian Heritage Journal. Her collegiate teaching positions include Capital University and The Ohio State University (Columbus, OH), the University of Dayton (Dayton, OH) and Mount St. Joseph University (Cincinnati, OH). Dr. O’Neill’s cello students have appeared on the NPR show “From the Top,” and won top prizes at the St. Paul’s String Quartet and Fischoff chamber music competitions. Her cellists have continued their studies at Rice University-Shepherd School of Music, Cincinnati Conservatory of Music, Cleveland Institute of Music, OSU, Catholic University of America, Aspen Music Festival, Meadowmount School of Music, Indiana University, Harvard, and the Juilliard School. Currently in living Cincinnati, Ohio, Dr. O’Neill teaches cello, string pedagogy, and chamber music at Mount St. Joseph University and directs Mount St. Joseph Talent Education Conservatory where she offers SAA Suzuki Cello teacher training. She is a Catholic nun and member of the Sisters of Charity.